Need some awesome places to shop online? KarenMurrell.Com – Hands down, my favorite lipstick provider, Karen Murrell Lipsticks are handcrafted in New Zealand with quality natural ingredients, an incredibly earth friendly manufacturing process, and no nasty artificial ingredients or preservatives! Max Green Alchemy – I haven’t met MGA product I didn’t like. Seriously. They make steroid free skincare that are mostly vegan and all plant ingredient based. Seriously impressive ingredient lists with effective products. I highly recommend them, especially for body and hair care. 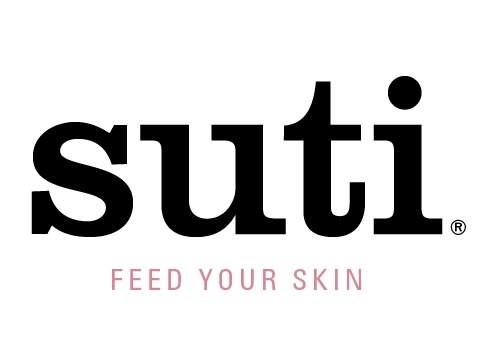 Suti Skincare – Suti has the best cleansing balm ever. They make quality organic skincare in the UK – a lovely and effective cleansing balm, amazing moisturizing balm, great face toners and natural facial oils. Definitely a great choice for natural skincare. Liz Earle Naturally Active Skincare – The Liz Earle Cleanse & Polish is a gift from the skincare goddesses themselves! Seriously effective, natural ingredients, this cleanser is the natural version of my childhood fave Noxzema. Try it, you’ll love it. Check out my review for it here. SASA.Com – This site is fantastic for any and all types of Asian beauty products! They offer a huge range of products from the insanely cheap (think $1 USD) to the insanely expensive ($400 USD or more) so there’s something for everyone. They also carry a wide variety of high end brands such as Clinique, Lancome, Estee Lauder and more. They’re based in China, though, so if you’re not in Asia, expect to get your package in 10 days or so. BeautyHabit.Com – Beauty Habit is SO amazing! You may have seen my recent posts about products I reviewed from Beauty Habit. If not, check them out here, here and here! They carry a variety of luxe beauty brands with equally unique and beautiful products. I’ve spent way too many hours browsing this site! They certainly have some lovely products available there to try. Naruko.Us – If you’ve been following for awhile, you’ll know I’m a huge fan of this natural beauty brand from Taiwan! They have such an incredible dedication to high quality natural products that truly deliver results! Find out more about Naruko here or read reviews on some of their products here, here and here! AllCosmeticsWholesale.Com – This is the ultimate website for anyone on a budget! They have awesome prices on TONS of beauty brands including designer brands like Lancome, Guerlain, Dior, and Chanel. They also have other loved brands like Korres, NARS, 100% Pure, Stila, Revlon, Makeup Forever, Tarte, MAC, Kiehl’s and More! SkinBotanica.Com – This is a fantastic site to get natural and organic beauty products from! They have everything under the sun, or so it seems, and I don’t even want to get into how many wish lists I’ve made or how many hours I’ve spent browsing. Just go check it out! It’s a great site! Rainwater Botanicals’ Shop – This is absolutely my favorite brand on Etsy! The owner, Sara, works tirelessly to create incredibly effective products with all natural, wildcrafted and organic ingredients at extremely affordable prices. Eco friendly and packaged with the earth in mind, her products are some that you can be proud to buy again and again. I certainly do! AlimaPure.Com – I recently discovered Alima Pure and I am SO glad that I did! Their natural mineral foundation truly rivals MAC powders without all the crap in them! Before Alima Pure, I thought no one could get that kind of finish except MAC and then I discovered that Alima Pure does it better than MAC the natural way! Plus, they are super eco friendly and affordable. Alpha-H.Com – I had been lusting after these products for the better part of a year before I finally got the chance to try them out and they did not disappoint me! Although not the most natural brand, they don’t use fillers or unnecessary ingredients in their skincare products. Instead, they include only the most effective ingredients to treat every girl’s skin concerns – acne, aging, discoloration, scarring, and more with impressive results. Check out my review on them – here! LivingNature.Com – This beauty company based in New Zealand utilizes the unique and rare natural elements of their country to heal your skin naturally. I recently discovered their awesome skincare line and reviewed them – here! They also carry a wide range of other products that utilize the rare elements of New Zealand including a cosmetics line, body and hair care lines and a line entirely for men! Do check back periodically as I will be adding more great sites to shop on as time goes!